Category analytics focuses in on the optimal way for a retailer to structure the categories in their store, extracting the useful knowledge from data through price elasticity, strike rate, loyalty and substitutability, basket drivers and time bound analyses. 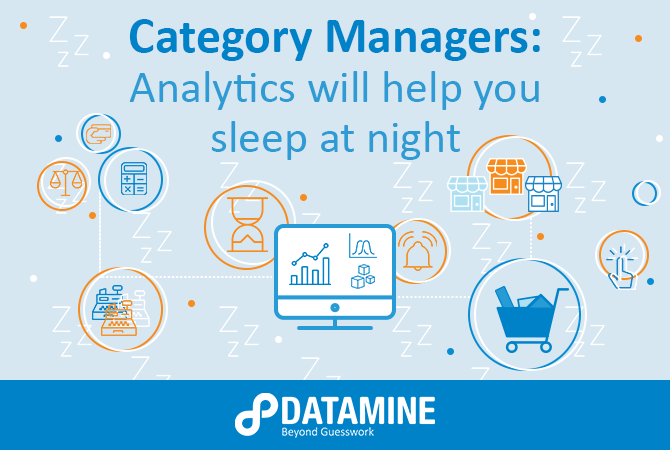 WHAT CAN CATEGORY ANALYTICS HELP WITH? What are the optimal price points for products in my category? Which products drive people into my store? How loyal are customers to certain brands within the category? How can I optimise my product range? How do I avoid excess inventory past best product use date? One of the major obstacles for companies wanting to understand more about their categories is accessing and cleaning the data so it can be analysed. Once the data has been extracted and loaded, we normally carry out simple ‘sense checks’ to identify any areas of concern within the data. From here we develop an understanding of the structure and content of the data. Where necessary, we cleanse or transform the data further, and remove any outliers, thus creating a single, clean data set for analysis. Product Loyalty and Substitutability is an important component of Category Analytics. It looks at how loyal customers are to certain brands and how they’ll react to certain discounts and promotions – effectively what decisions people make, what products they switch back and forth between, how they make their decisions etc. This is useful because more you understand about product substitutability + loyalty, the better job you can do at ranging and commercial negotiations with suppliers, and the more insight you’ll have into consumer decision making, hierarchies and processes around product. 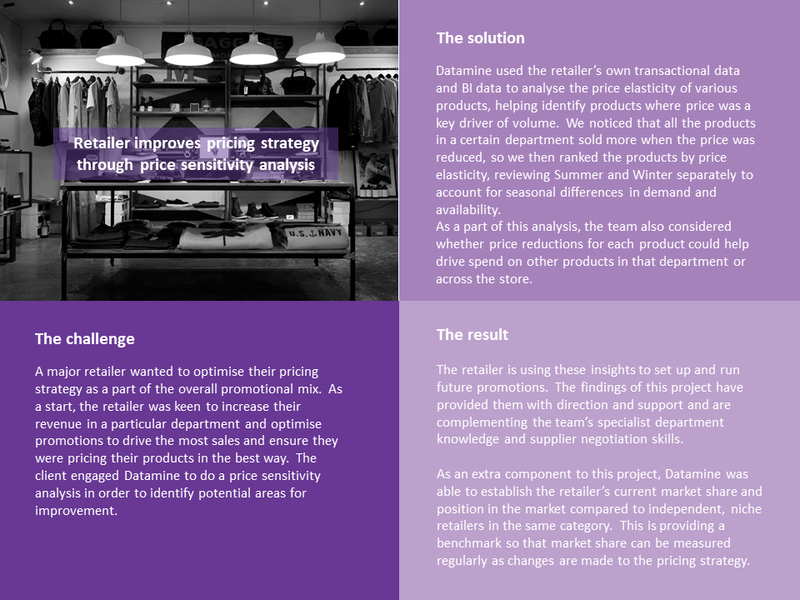 Interested in learning more about how Datamine could help you implement better product and pricing strategies in your business? Fill out the form below to schedule a call with us.